Inspired by the golden age of watchmaking, F.P.Journe’s exclusive creation for Only Watch sold at a recent charity auction for an astounding CHF1.150,000. Watch aficionados and collectors from around the world came together in Geneva, Switzerland on 11 November for a unique charity auction event at Christies. It was at this exclusive auction that a packed room saw the Chronographe Monopoussoir Rattrapante Bleu, an entirely new watch developed by F.P.Journe exclusively for Only Watch, sell for the astounding price of CHF1.150,000. 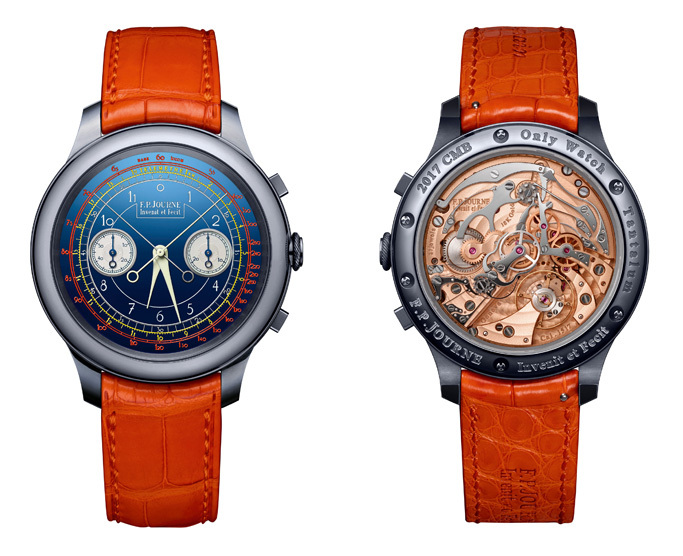 With its unique caliber in 18ct rose gold, its unique blue chrome adorned with an unusual topography and enhanced with vivid colours, and its unique 44mm case in Tantalum, the Chronographe Monopoussoir Rattrapante Bleu by F.P.Journe is a major Haute Horology work of Art.